By 1800 this way of farming was becoming out of date. Those who owned the most land wanted all theirs to be in one place, not scattered though the fields, so that they could use modern methods to farm more efficiently, as was being done across the country. What happened then is called Enclosure, because each farmer’s own land was set out and enclosed by hedges, in proportion to the amount he had previously owned as separate strips. This was a legal process, designed to be fair to all. 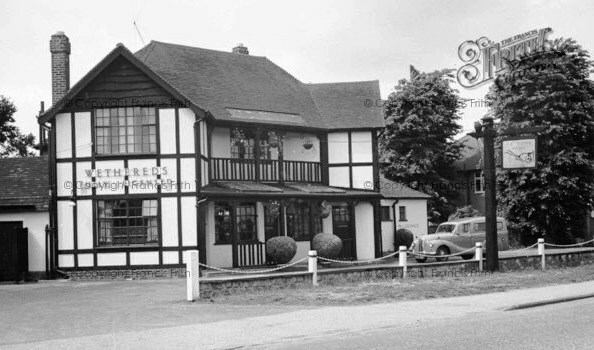 In many places, an area of Common was set aside for use of the poor but often, as in Datchet, the old Common was divided up between the landowners and the cottagers lost their rights. This section (left) of the 1810 Enclosure Map shows the area around the Horton Rd/Ditton Rd crossroad, marked out in numbered plots to record the new owners of what had been Datchet Common. 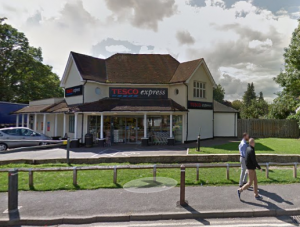 It is no longer ‘common land’ in any legal sense and now just the name survives. Enclosure of the farmland was carried out by an Act of Parliament for each village. Public roads and paths were mapped and numbered, and new roads were ordered to be made to improve routes and access through the fields. Ditton Road is one of these ‘Parliamentary’ roads, connecting the Ditton Park corner of London Road to Horton Road, where no road had existed before. 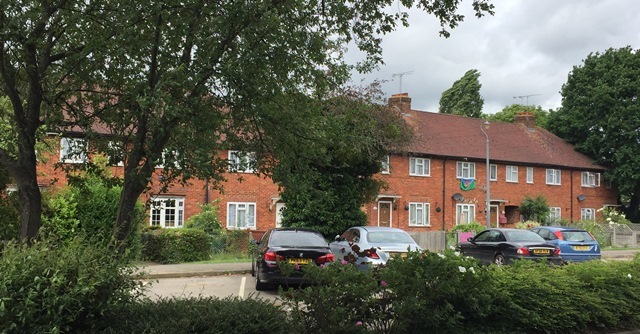 New Road and Penn Road did not yet exist, and the plot where New Road would be built (numbered 254 on map), was then Moore’s meadow, with the owner’s name now remembered in Moore’s Court sheltered housing, (photo left). 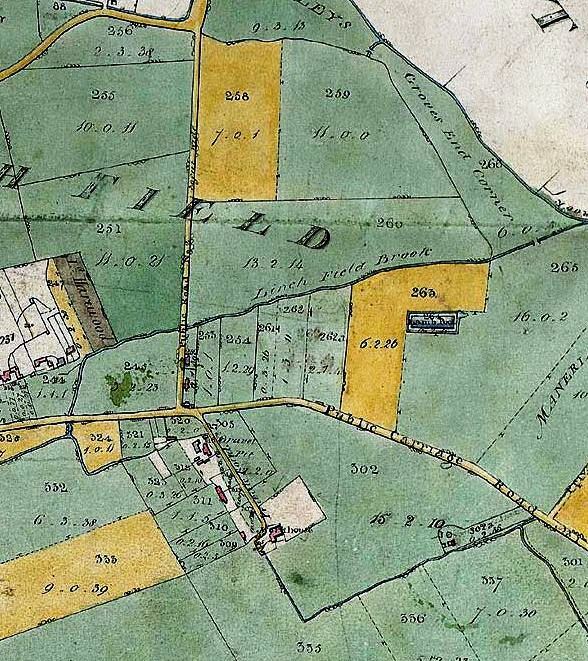 The lane which became Holmlea Road (then called Old Workhouse Road) led to the parish’s Old Workhouse, built about 1790 in a large square plot of land, shown white on the map. 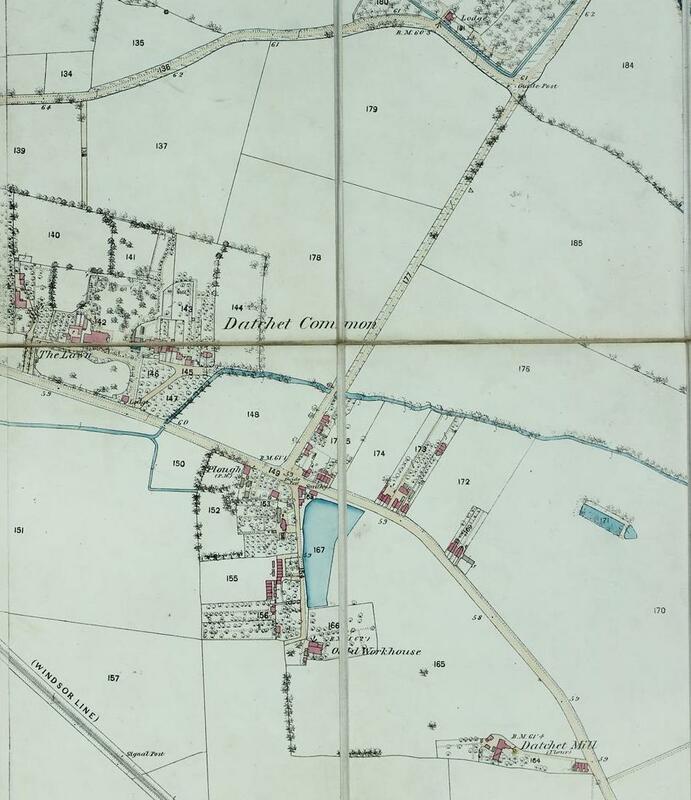 Each village needed to have a gravel pit, because the parish authorities were responsible for keeping its local roads in repair, and Datchet’s pit can be seen marked out on the map, east of Holmlea Road, in the angle of the crossroads. On the west side of Holmlea Road several old houses are marked, in their own (white) plots. 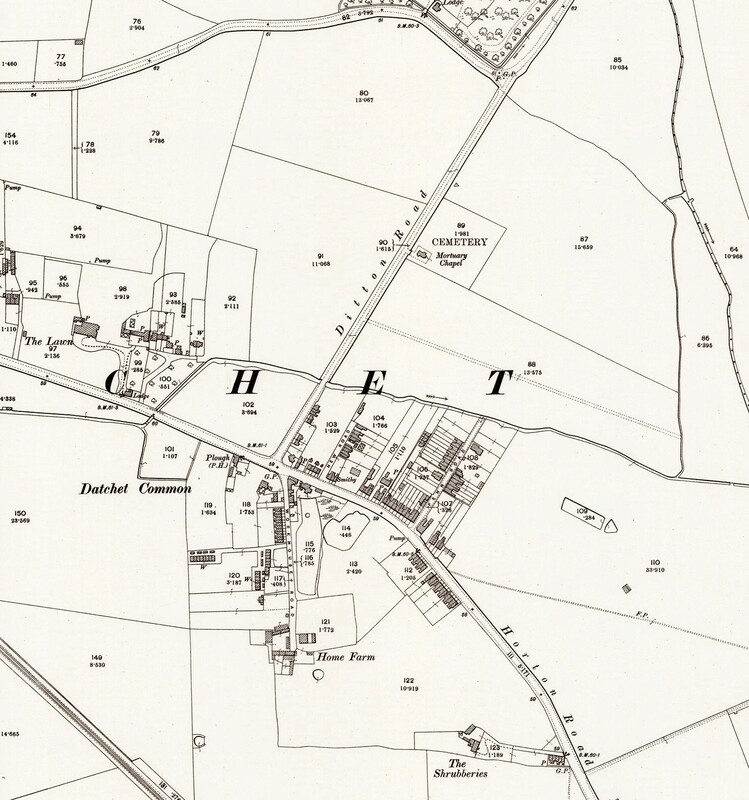 Datchet’s windmill is marked in a small oddly-shaped plot off Ditton Road near the lower right edge of the map, which had probably been the site of the mill since medieval times. 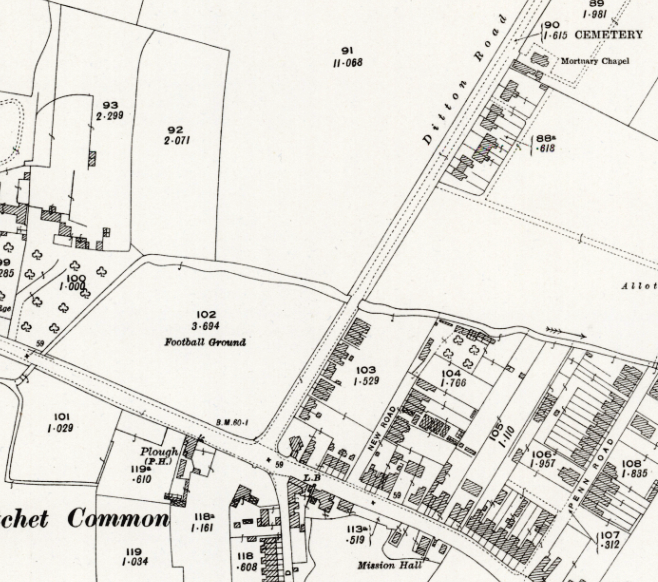 Looking at the map again, an old stream called the Linchfield Brook can be seen running across the Common. It rose at the far west of the parish, near the border with Slough, and its course was originally through the middle of the village where the Greens are now. In about 1850 this stream was culverted under the Greens, reappearing near the Village Hall to run in an open ditch across Marshfield, which is now now our recreation ground. 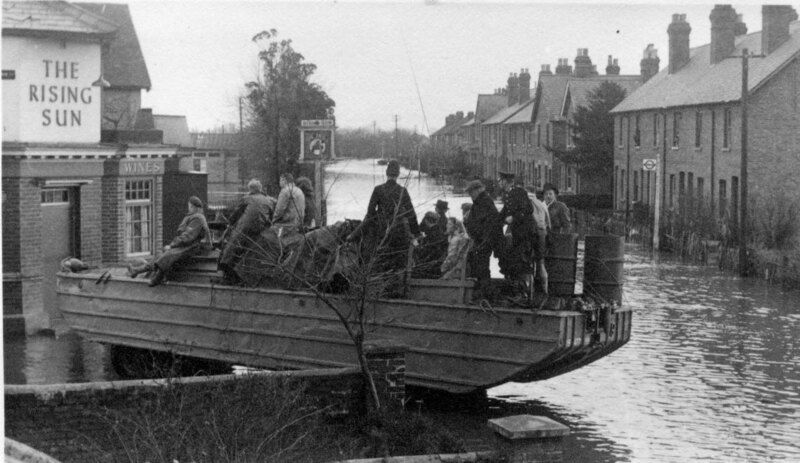 In Ditton Road it ran under a bridge, then diagonally across the old Common and out to the parish border, eventually flowing into the Thames. 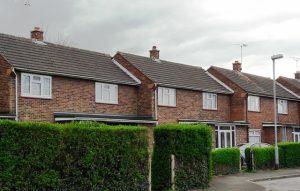 Linchfield Brook became very significant as housing developed, because it prevented any new roads extending northwards beyond it. 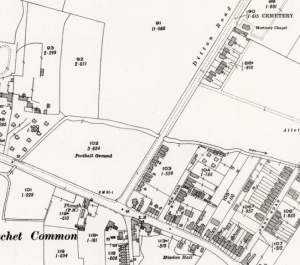 In the 1950s it was culverted so that Linchfield Road could be built, and then later it was channelled underground to allow the extension of Penn Road. 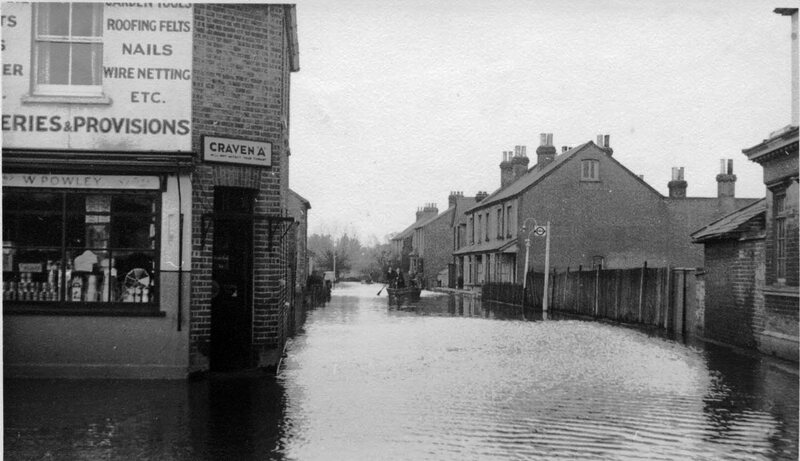 The watercourse is still there, although mostly unseen, and as Datchet Common Brook it is one of the chief causes of flooding around the Common area. After the arrival of the railway in about 1850, Datchet’s population rose rapidly as London businessmen were able to commute to work while living in a still-rural village. Farmland began to be sold for building new houses and laying out new roads around the old village centre near the railway station. Local builders and those in the building trades prospered too, and bought plots on the old Common where land was cheaper. 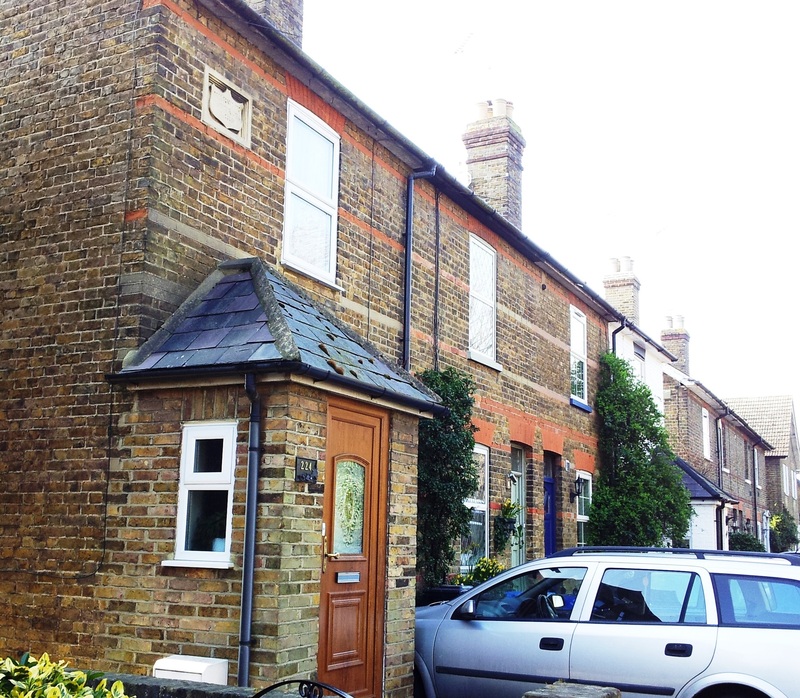 Houses were built for their own occupation, as well as terraces of small cottages for renting to labourers. 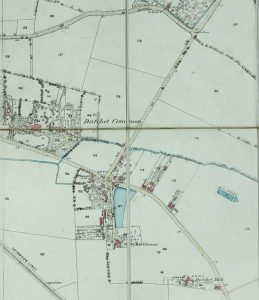 In this 1868 map New Road was not yet mapped, although building must have already begun because houses are listed there in the 1871 census. Penn Road was not built until much later. 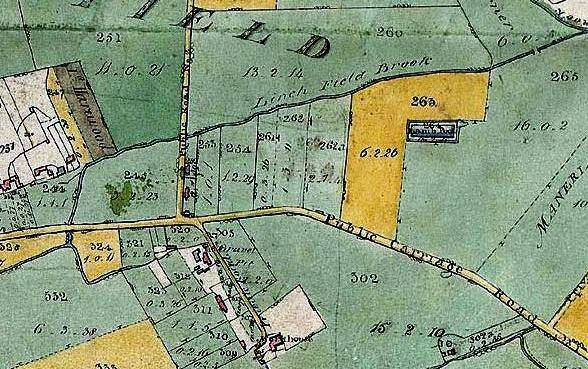 In the field north of Horton Road (near right edge of map photo), the rectangular blue pond was called the Lamb Pool, a reminder that this was still essentially a farming community. 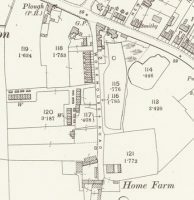 Further down Holmlea Road, on its west side, the 1868 map shows two terraced blocks of tiny ‘cottage’ dwellings, built for labourers’ families by the Talbots who farmed the land nearby. They were known as ‘Talbot’s Cottages’ and are still remembered in the name Talbot Place, where houses were built in recent times after the old cottages were demolished. 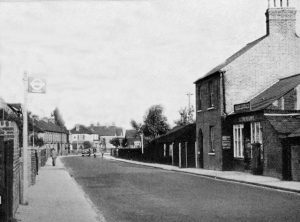 From the crossroads corner going up Ditton Road there were two groups of small houses on the right, named Elizabeth and Buccleuch Cottages after Elizabeth, Duchess of Buccleuch who lived at Ditton Park. The Duke owned most of the land on this side of Ditton Road and probably had the houses built for those who worked for the family. Next on the left along Horton Road were Hales Cottages, a row of four tiny dwellings, some of the oldest in the area but which survived until the 1960s. At the Enclosure of the Common this plot of land was acquired by George Hale (the blacksmith of Church Cottage in London Road), and he would have had these ‘cottages’ built for renting to agricultural labourers. 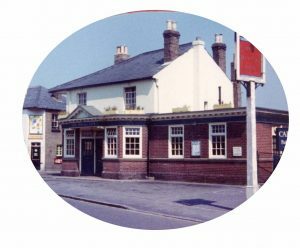 This pub, originally another beerhouse, was built by 1871, and its name did not change until its closure a few years ago. 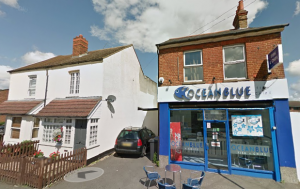 Although the building now looks so different, it has only been restyled and decorated, not rebuilt. 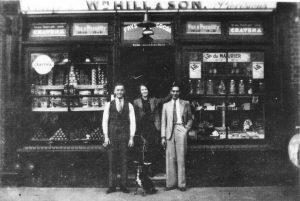 During the 1920s and 30s Reginald Arthur Sears was the licensed victualler there. 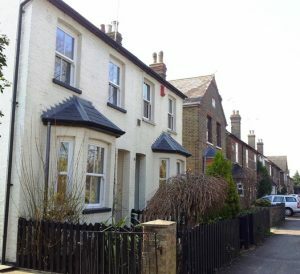 Further along Horton Road on the right, in the access lane to the mill, are Mill Place Cottages, built by the retired miller George Jacques in about 1860. 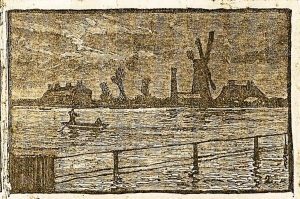 They are seen in the etching on left during the 1883 great flood, when the tall chimney shows that the mill could be steam-driven although it still had its wind-sails. To the right of the mill, the miller’s large house can be seen, at least partly still surviving as the Shrubberies. 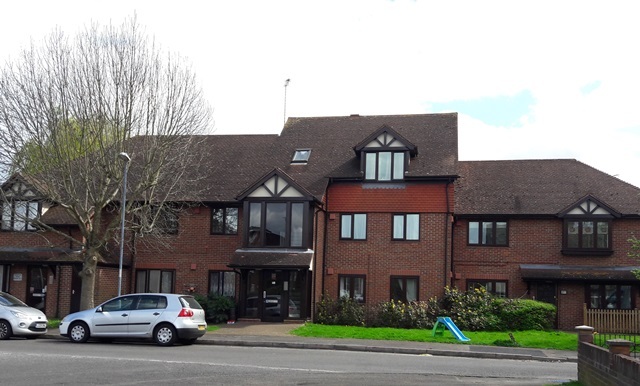 During the 1880s and 1890s, building in Datchet village was booming as developers and local builders laid out more ambitious schemes to accommodate the growing population of more prosperous working people. 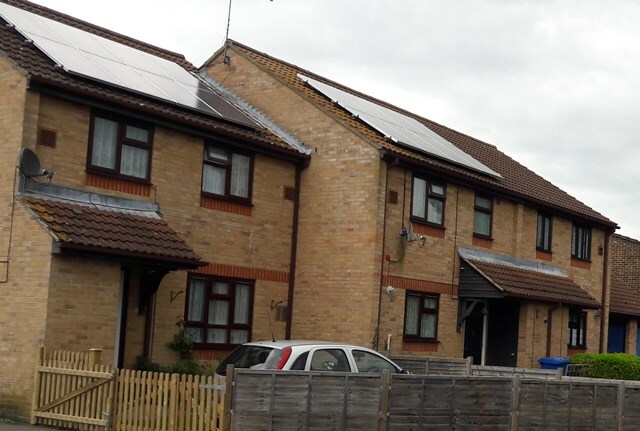 The community on the Common boomed too, benefiting from a great demand for all the building trades, while still providing for the needs of labourers. 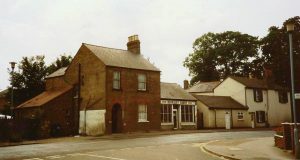 ‘Datchet Common’ had its own range of shops and services, including a pub, shops, and a post office, blacksmiths and wheelwrights, and by its population peak in around 1900 it was considered as a separate community. 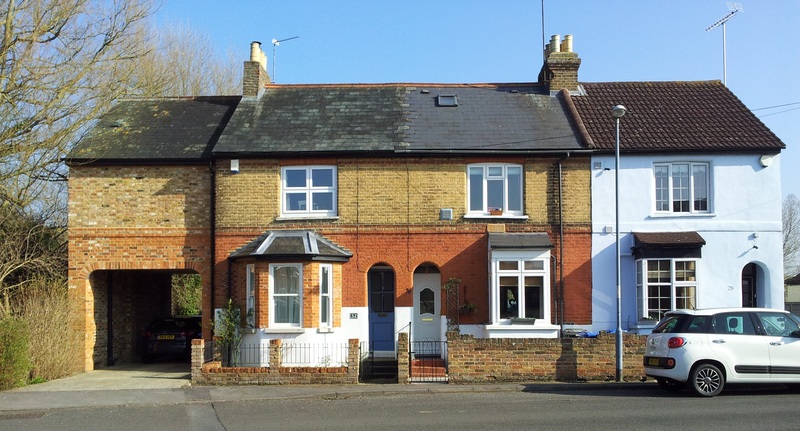 Some of the houses which have survived from this period are larger and built to a higher standard than many of the earlier ‘cottages’ that were intended as low-rent accommodation. From the 1950s onward most of those were demolished and modern housing built to replace them. 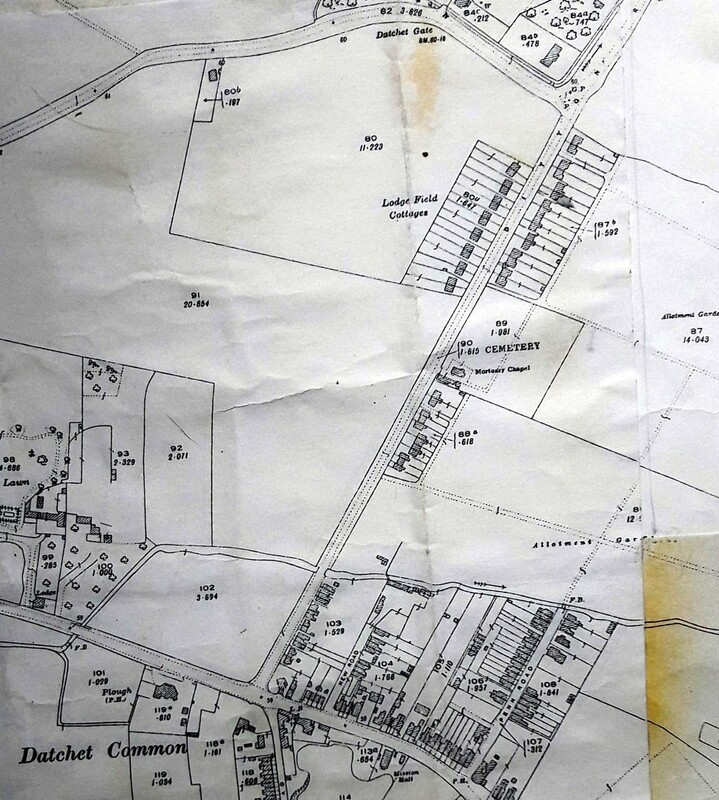 This map clearly shows how development was limited by the Linchfield Brook running parallel to Horton Road. New Road was always much shorter than it could have been but Penn Road reached as far north as the stream. 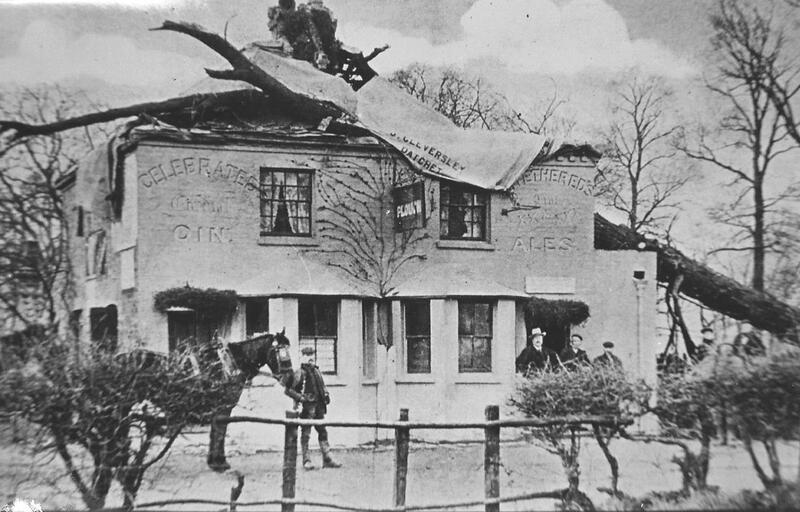 At the corner of Ditton Road and Horton Road in 1899 was the house still known as Gable End. 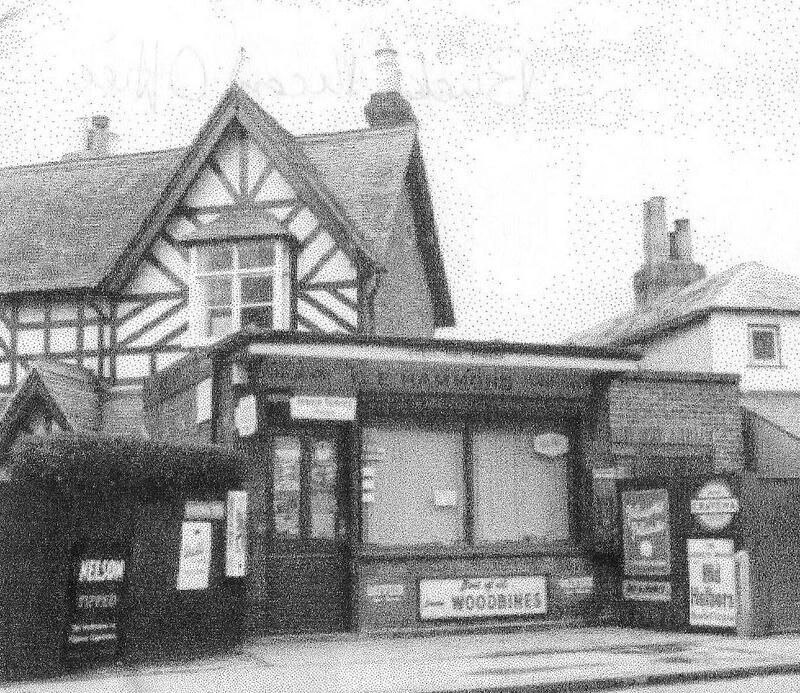 In 1911 Frederick Avis ran a butcher’s shop here, and at least by 1960s it was the Gable End Stores. 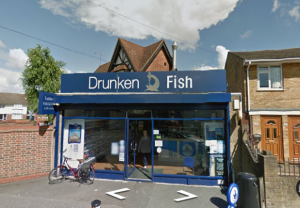 A very similar shop building on the same site is currently The Drunken Fish. 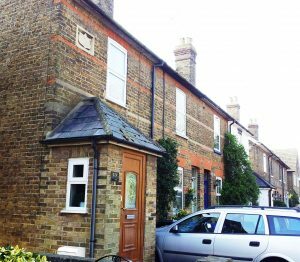 Between here and the New Road corner were Hales Cottages as before, which in 1911 were some of the most seriously overcrowded dwellings. The 1911 census was the first to ask how many rooms each household occupied, which can be very revealing. 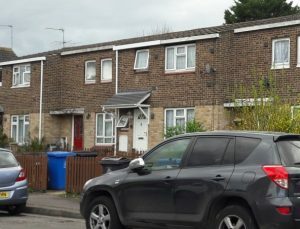 One of the families living here consisted of parents and nine children in just four rooms, including a kitchen. On the other corner (below), numbers 107 & 109 Horton Road, are probably updated survivors from the 1870s originally called ‘West View‘. Ocean Blue fish & chips shop is next, which occupies the same building as the Hill family’s grocers shop, seen below in a 1930s photo. Beyond this point in Horton Road, between the New Road and Penn Road corners, the old houses of Pitts’ Gardens, East Place, Clem Cottage, and Alma Place are on the 1899 and later maps but demolished by about 1970. In 1911 the Sears family was no longer based in these cottages but had moved on to houses that the younger generation had built for themselves as their business expanded. Fred Munday remembers: I was born at No 1 Alma Place in 1930. We had an outside toilet with candle lighting, and there was a brick built copper for boiling washing or hot water for the tin bath. The kitchen just had a stone sink, but there was gas for lighting and cooking There was a foot path down the side past the large rear garden which ended with a stream that used to flow from Penn road to Ditton road. 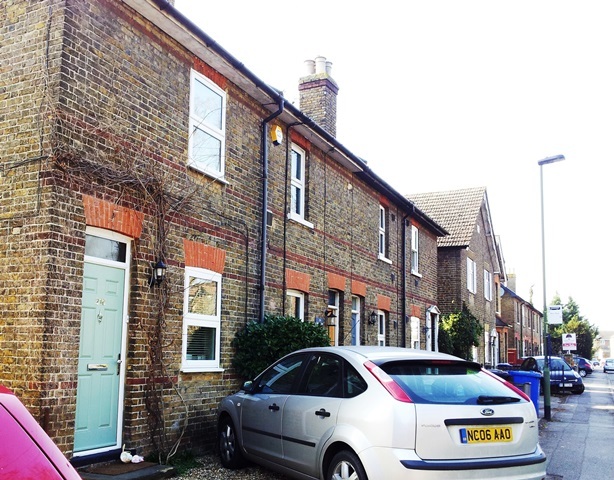 There were two cottages at the end of Alma Place garden. 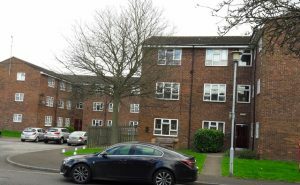 They were called Pitts cottages and were demolished just before the war, then my father dug a large hole there for an air raid shelter. 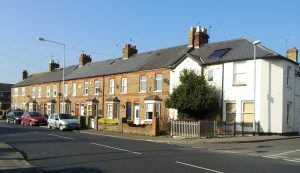 Adjacent to the site of those cottages is the attractive terraced row called Woodland Villas, where a stone plaque on the wall in its central section gives the date as 1890.The present first house, at the west end, is a later addition or replacement, and the last was built as an integrated house and shop on the corner of Penn Road. This house was named Ivy Cottage and the shop was originally the Alderney Dairy, but later a general store. 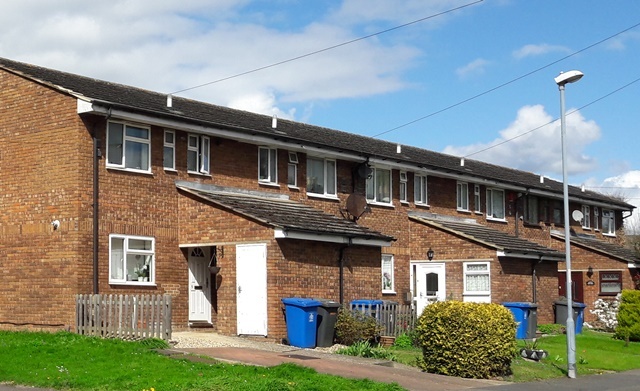 Woodland Villas was saved from demolition in the 1970s when Windsor & Maidenhead Borough Council compulsorily purchased and refurbished the whole block, converting the third bedroom of each house into a bathroom. 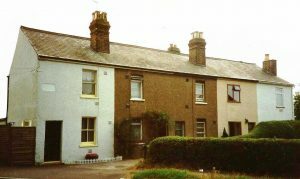 This terrace of five-room dwellings were always more spacious and more expensive, since the earlier rows of cottages had only four rooms (two up and two down), and had shared outside privies. New Road was always very short, ending at the point where it now turns right (or east) to meet Penn Road, the two forming one residential area. No old photos of it are known and there were very few houses, all on its east side. 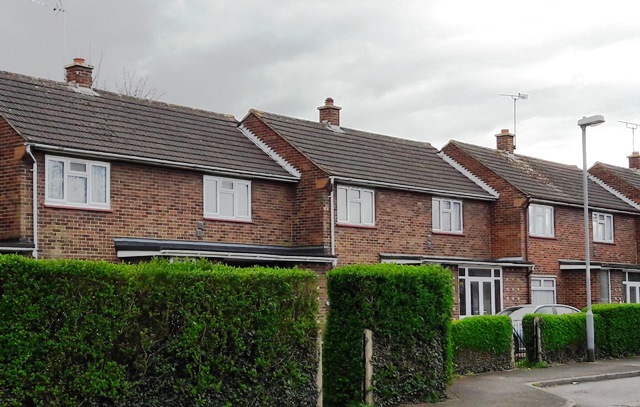 These were the two pairs of very small Woodbine Cottages, followed by four larger Rose Cottages with the Sumner family’s nursery gardens and greenhouses in the bigger first plot; last was a single house called Victoria Cottage, and then an open plot leading to the Linchfield Brook. 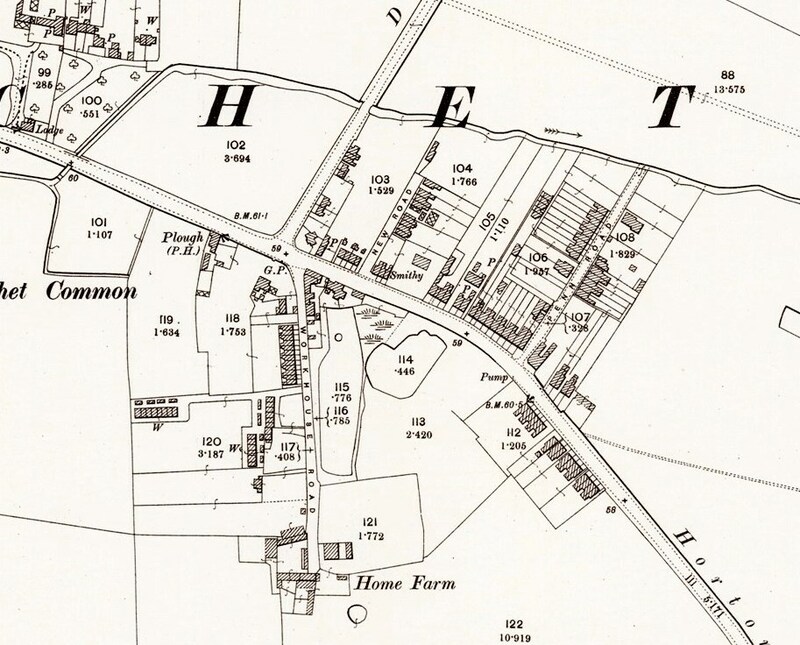 Penn Road was developed on both sides as far as the Linchfield Brook, although most of the terraced houses seen in the 1899 map have been demolished, leaving just a few houses surviving on the east side which now back onto the reservoir. 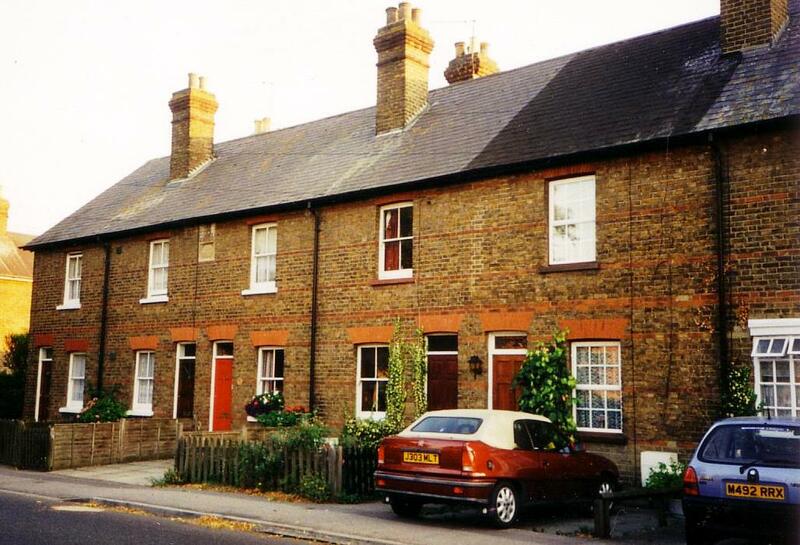 On the west side, behind the gardens of Woodland Villas, there was a long terrace of about twelve five-roomed houses called Churchill Cottages. They were built by George Cleversley, builder and Captain of the village Fire Brigade. He had arrived in Datchet from London in the 1870s as a plumber, at first living at Talbots Cottages in Holmlea Road. 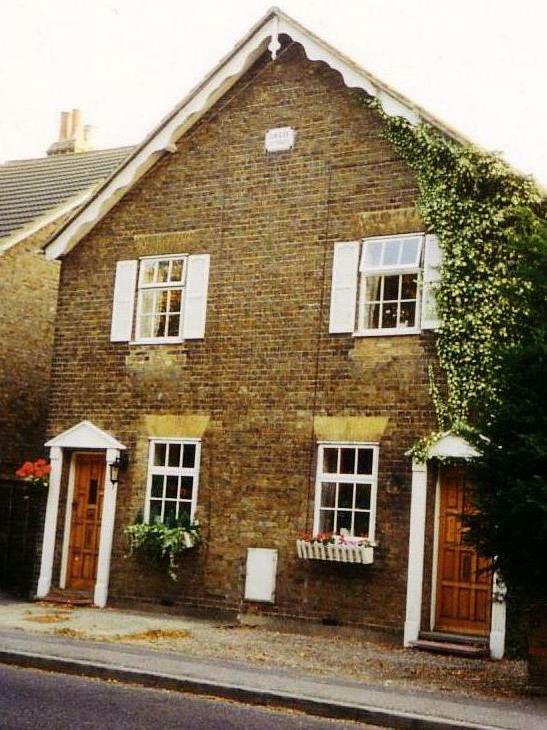 By 1891 he had moved to Vine Cottage, a bigger single house at the foot of the same road, near to Talbot’s Farm, and in the early 1900s he bought Old Manor House on the Green. 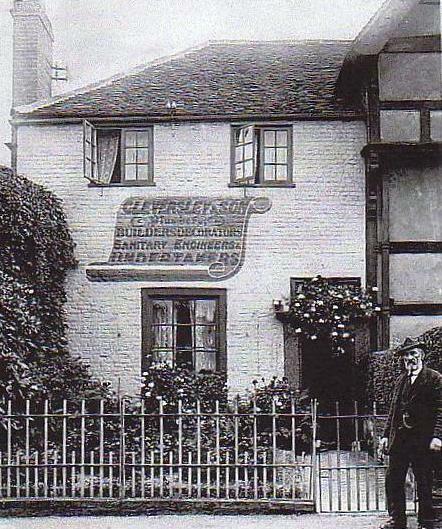 This had long been a builder’s workshop as well as a dwelling, and George may have been working for or with the Bidwell family who were its previous owners. 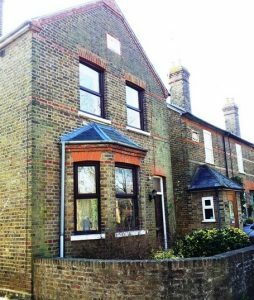 In 1911 George’s eldest son, a painter and decorator, was living with his own family in number 1 Churchill Cottages, near the foot of Penn Road, while the younger sons (a plumber’s mate and a carpenter’s labourer), were still learning their trades at Old Manor House. 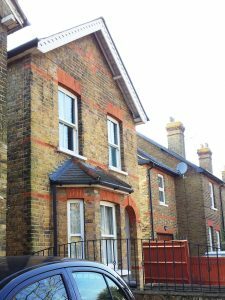 On the east side of Penn Road, behind the Rising Sun, George Cleversley built another short terrace of five Churchill Villas. On the map these look bigger than his Cottages, although they also had five rooms, and they were only demolished after 1970. They are remembered as being similar to Woodland Villas, and might have been preserved if there had not been a fire in one of them which spread through the undivided roof spaces. In the middle photo below, the side of the first Churchill Villa is seen beyond the back of the Rising Sun. 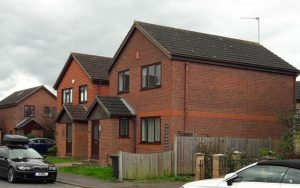 Two modern blocks of flats, Fleetbrook and Brookfield, now occupy the site of the Villas. 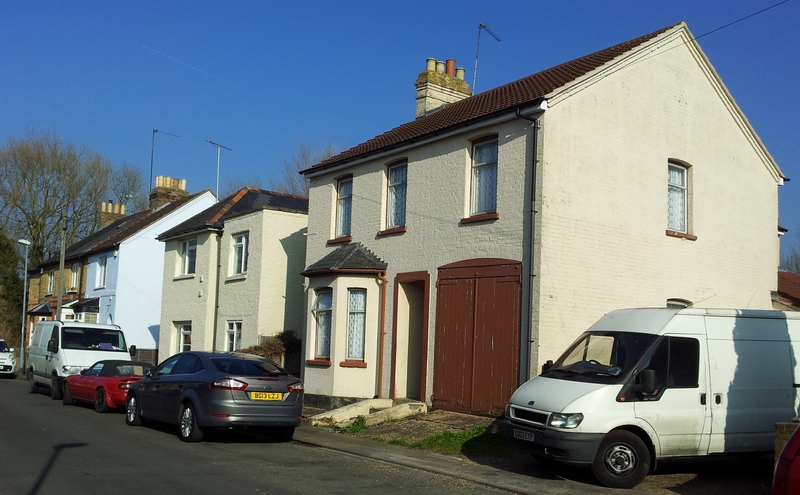 Beyond Temperance Cottage two other old houses still exist (photo centre, below), dating from before 1911. Lastly, the terrace of three Ascot Villas (photo left, below), right at the top next to the stream have particularly unusual narrow-arched entrance ways. The story is that the bricks to build them were brought from Ascot racecourse, presumably when it was being rebuilt sometime between 1899 and 1911. James Albert Lewin (Jim) and his father also built a row of four Eleanor Cottages, opposite Ascot Villas at the top of the road on the west side, unfortunately now demolished. From Temperance Cottage Jim moved in to one of these new houses with his own family of three children, his parents and his sister Eleanor. Jim’s wife Bessie had another child there in 1916, but Jim may never have seen her before his death. 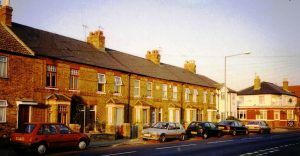 By 1868 there were already two short terraces of Talbot’s Cottages on the west side of Holmlea Road, and by 1899 another row had been added further east, in a lane which has become the modern Talbot Place. Further up the road on the same side, two old cottages owned by Atkins had been replaced by another terraced row called Atkins Cottages. This made a total of 32 dwellings, each of four rooms including kitchen (as recorded in the 1911 census), with shared outside privies. The number of those living in Talbot’s and Atkins’ Cottages was 154, including nine households of seven or eight people. 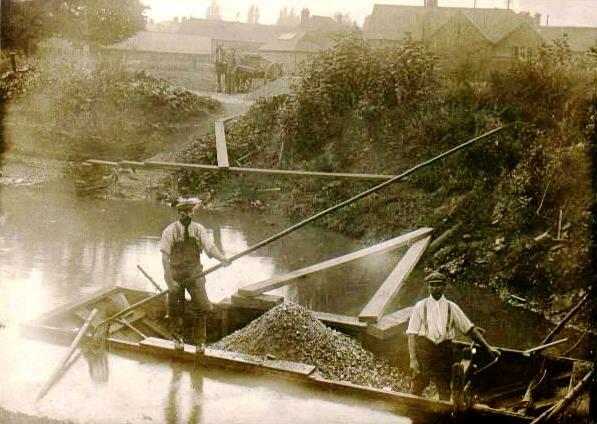 On the opposite side of Holmlea Road the parish gravel pit had changed in shape and size by 1899, so that it occupied a considerable stretch of Horton Road as well as one side of Holmlea Road. By the time it was worked out, a great deal of land-filling was needed before anything could be built on its site. This photo belongs to the Bruce family, descendants of Philip William Tarrant who lived in the village but worked here digging gravel before he was killed in WWI. 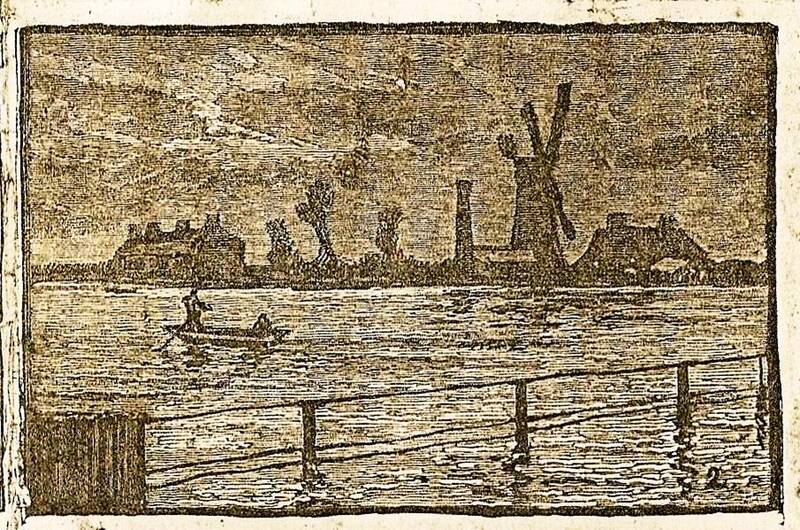 The conditions in which men worked then are hard to believe, although others appreciated ‘the pond’ as a good place to go fishing and to skate in winter. Fred Munday remembers: My grandparents lived at numbers 1 & 2 Mill Place, and my grandfather owned the gravel pit which was called the pond. 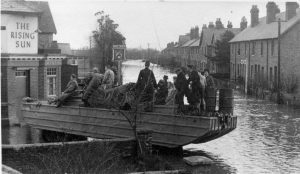 This he worked by hand from a small boat and I was told he used to find lots of coins and artefacts which were taken to Windsor and quickly converted to beer money. This very poor and damaged photo is the only one known of the farmhouse at Alfred Talbot’s Home Farm, built on the site of the Old Workhouse at the end of Holmlea Road. 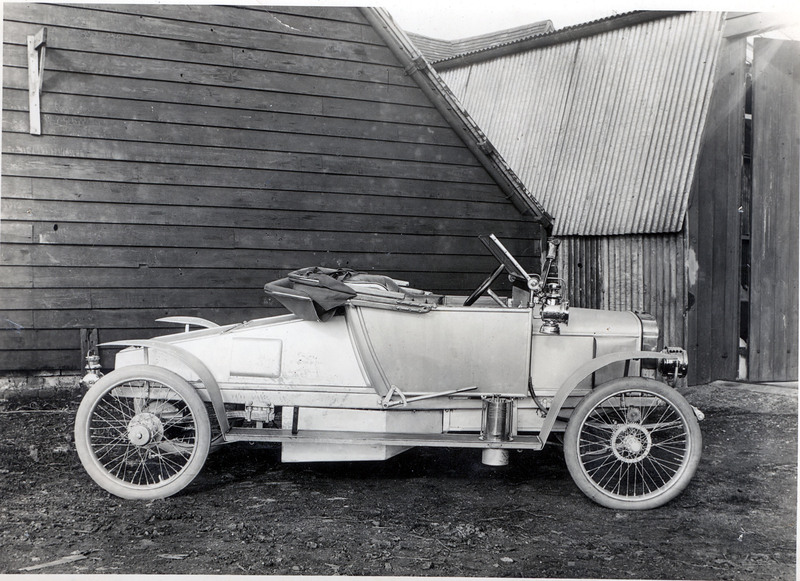 From 1911 to 1914 the farm sheds and barns were used as motor workshops by Lee Kenelm Guinness, and GWK light cars and motor cycles were built here. Horton Road to the east, mid-20th century? The photo on left above (mid-20th century?) shows the buildings on Horton Road just past the turning to Holmlea Road; it includes Datchet Common Post Office in the single-storey shop with white windows. The second was taken a few decades ago, looking back towards the white house on the corner, and the final recent Streetview image shows that the white house occupying the whole corner is all that is left of this group. The big house belonged to the Lovegrove family, who had been blacksmiths and shopkeepers near this site from about 1870. 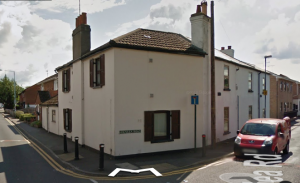 By 1911 several shops occupied these buildings, and in recent times many people remember that Johnny Horne ran a general store in the Holmlea Road side of the white house. The whole of the white house was called ‘St Helen’s Place‘, which is a very old name referring to the Manor of Datchet St Helen’s, to which a lot of property here belonged, instead of to the Manor of Datchet. There was then a very long gap on this side of Horton Road where nothing was built for many years because it was alongside the parish gravel pit diggings. 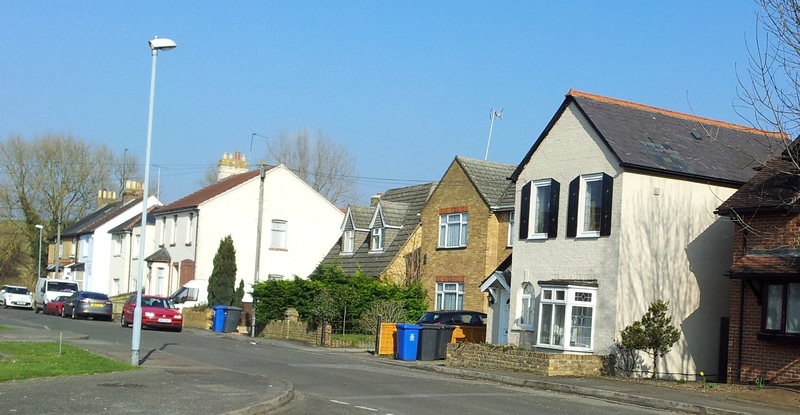 It is difficult to photograph this impressive and varied row of terraced, semi-detached and detached dwellings (partly due to the cars now parked in front), but they are among the best of Datchet’s late-Victorian artisan houses. 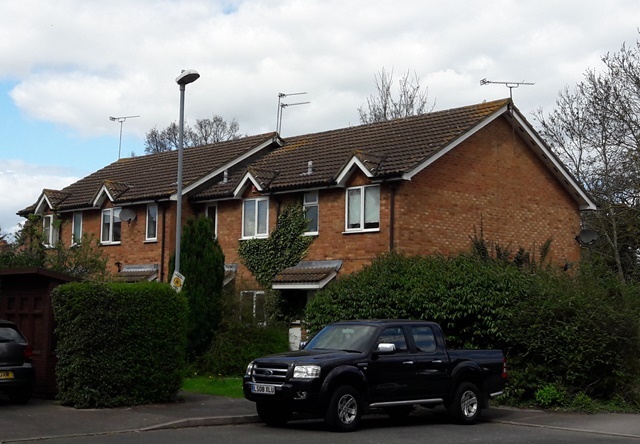 They are similar to the railway cottages built rather earlier in the High Street and at Mays Crossing, and to Woodland Villas on the other side of the road, which were probably the latest of all. At the time they were built, some of these houses were given names which were significant at the time but which mean much less to us now: there is a block of cottages named after Queen Victoria, another for Prince Albert, and then between them the pair of Jubilee Cottages, all of which can only have been in celebration of the Queen’s Golden Jubilee in 1887. 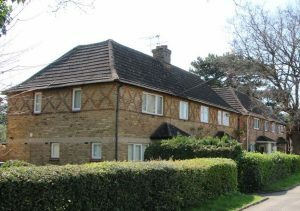 Chestnuts is the odd one out in this celebratory royal sequence, and is unusual in being built as one dwelling; it represents the success of the Sears family who began as humble bricklayers but within a generation or two Arthur James Sears had built this substantial house for his own use, as did James Arthur Lewin in Penn Road. Warwick Cottages were built before 1899, as they are on the map, and the single Fern Cottage as well as the two Polo View cottages were occupied by 1911. No explanation is known for the names Warwick and Fern, but the Guards Polo Ground was opposite the last two cottages. 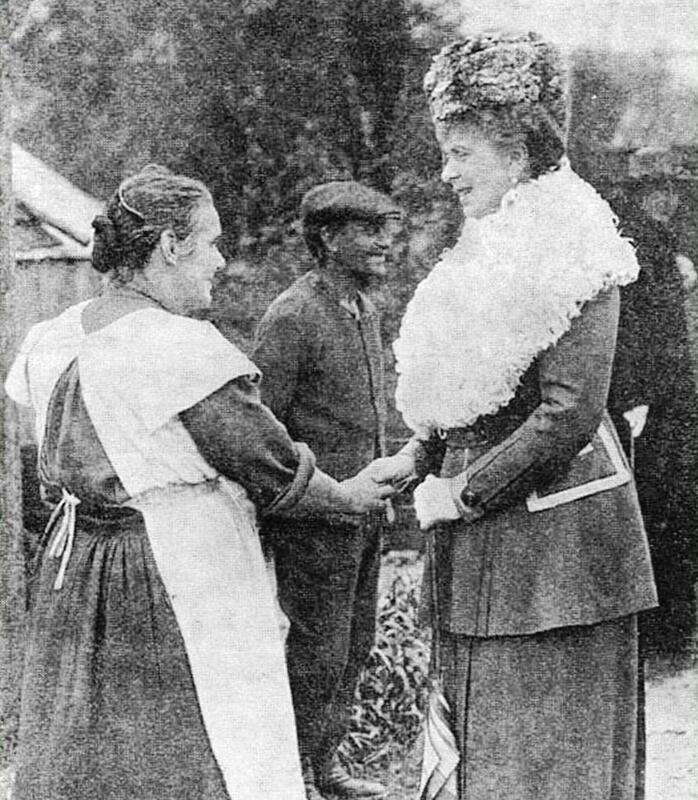 The arrival of the Guards was a great excitement for local children, who could earn pennies by holding the heads of horses, although some were also sent out with a shovel to collect manure for gardens. When the Prince of Wales (the future Edward VIII), was coming to play there was even more excitement because the Guards’ arrival was heralded by a band. The Windsor Guards owned this land by 1910, but it is not clear whether they continued to use it after WWI. 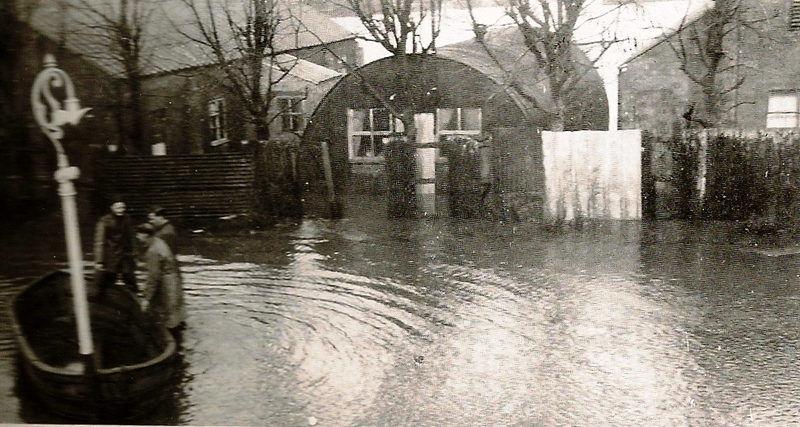 During WWII an anti-aircraft base occupied the site and barrack huts were built there, seen in the two flood photos below. 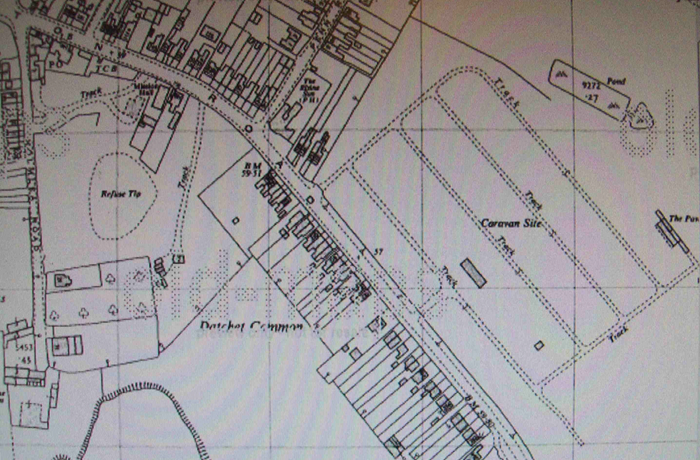 From 1947 those huts were used as housing, with thirty two families listed at Polo Ground Camp in 1950. By the 1960s the OS map shows trackways laid out, perhaps for accommodating Traveller or Gypsy caravans. 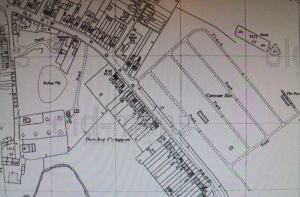 The map shows the Guards’ pavilion still in existence (far right edge of photo) and the old Lamb Pool as well. Any further use of the land ended with the construction of the reservoir in the late 1960s. Fred Munday remembers: During the Blitz whenever the artillery guns on the Polo Ground opened fire the Cottage at Alma Place vibrated badly, even the gas mantles on the lights sometimes shattered. The house suffered so badly they had to shore it up, and in 1947, after the army moved from the Polo Ground, and after the flood, we were moved into one of the huts. The picture of the floods and the Rising Sun pub jogged my memory as we had water inside the house; one thing sticks out: we had Red Cross parcels and two prominent things in there were a swimming costume and big bars of Sunlight soap. 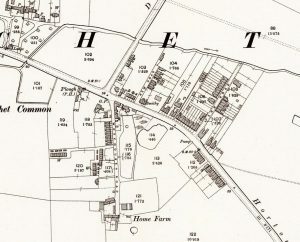 The 1960s map also shows the development beyond the old houses on Horton Road, most of it built in the 1930s and some of the houses towards Mill Place probably by the Sears family. In 1950 four houses in this stretch of road were occupied by people named Sears. During the war, government administration had developed in order to manage food supply, transport and industrial production of munitions. The post-war result was a much more interventionist policy even in rural areas. 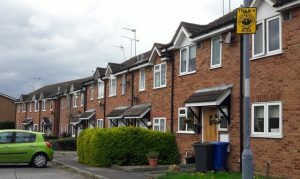 From 1919 a series of Housing Acts required local authorities to assess housing needs and and submit plans for new building programmes funded by the state; this was the emergence of council housing. 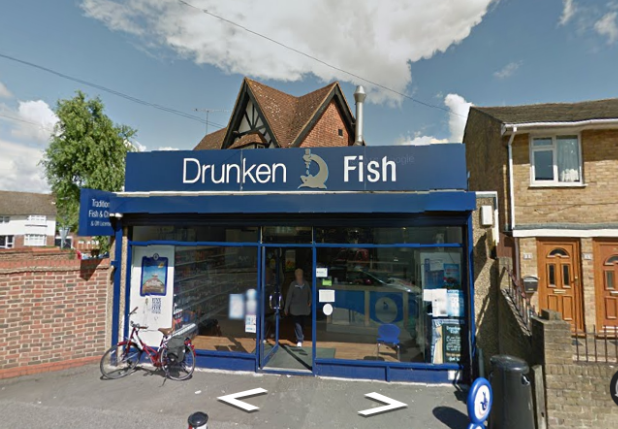 In Datchet it was reported that all houses and cottages in the village were occupied, a very unusual situation. 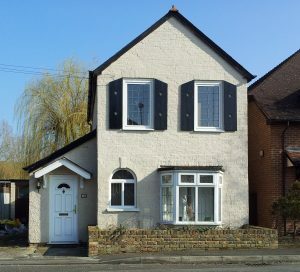 The Parish Council decided to report to Eton Rural District Council that 30 more cottages should be built to ease severe overcrowding and and to provide for the families of men returning from the front. 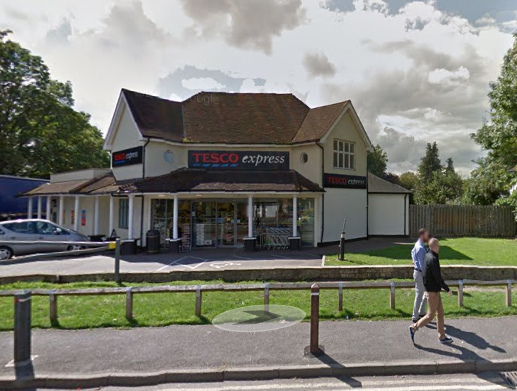 But in Datchet a pioneering form of ‘social’ housing was already being developed in Ditton Road. 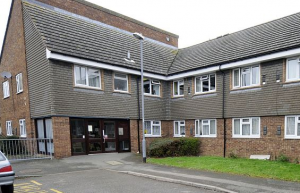 This was the Datchet Co-Partnership Housing & Allotment Association. 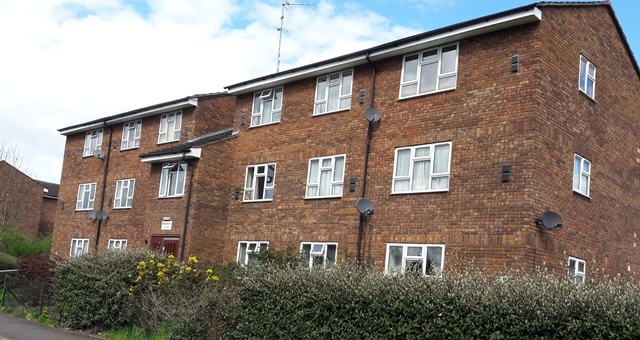 Tenant co-partnership was a social movement which developed alongside the garden city movement in Britain, although it was not in very successful due to the war and to the development of council housing. Charles Samuel Ward was one of the instigators of the the Association in Datchet, and the Ward family still owns one of the houses. 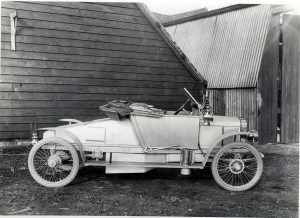 The Association’s chairman was Sir Lionel Cust who lived at Datchet House next to the church. 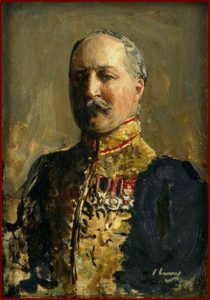 He was an eminent art historian, Keeper of the National Portrait Gallery and Surveyor of the King’s Pictures; he also played an active part in the village as Treasurer for St Mary’s Church and the designer of the War Memorial in 1920. 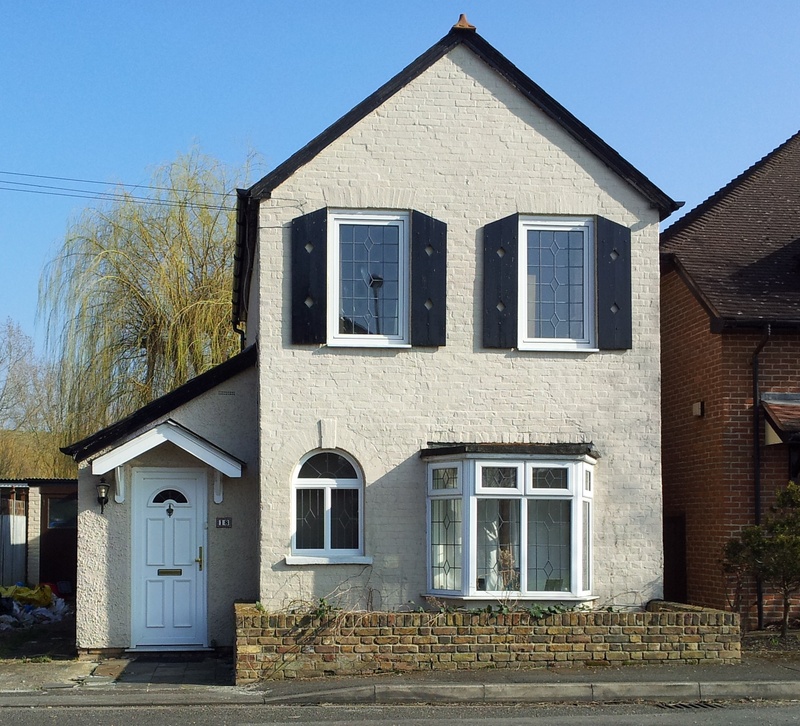 The attractive, slightly Arts & Crafts appearance of these houses, unlike anything else in Datchet, may also be due to his influence. 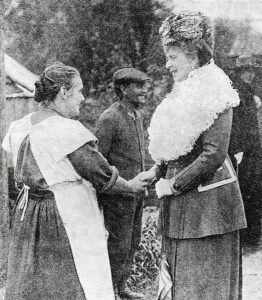 Datchet seems to have been the only society in Britain which linked allotments and pig-sties to the cottages, the intention presumably being to foster self-reliance and to give tenants a chance of success. About thirty of these very attractive dwellings were built, running north and south of the cemetery and its chapel. The Dowager Duchess of Buccleuch had given the land for the cemetery and it is likely that her Montagu heirs had also given land to the Co-Partnership Association. The photo of Andrew Ward’s grandfather Sidney with his magnificent pig was probably taken in the late 1950s but is redolent of a world which had hardly changed for a century or more. 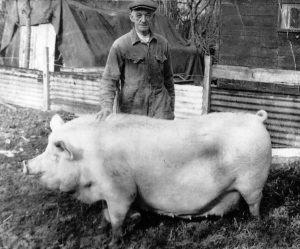 At that time the whole area from Ditton Road eastwards across the site of the reservoir was a warren of allotments, sheds, pig-sties, orchards and open grassland, with two bigger pig farms belonging to Jack Downer and the Howells. There were also streams on the eastern and southern boundaries which are now culverted or no longer accessible. Footpaths ran between and behind the houses in Ditton Road towards Majors Farm Road and down to Horton Road, the whole an informal muddle of small local enterprises, delightful for children to explore and play in, but which could not survive in the modern world. 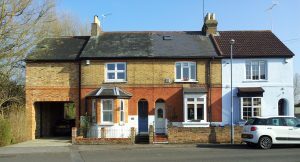 From about 1920 Eton Rural District Council built thirty six cottages along the west side of Ditton Road, partly as short terraces and partly as semi-detached pairs. Their name derives from an old Ditton Park lodge in the small triangle of woodland where London and Ditton roads meet; this now faces Majors Farm Road and the M4 but was once within the Park where Ditton Road used to lead before the M4 was built. These houses, although built to a standard local-authority pattern, would have been greatly welcomed by their first tenants who moved from the worst of overcrowded and insanitary living conditions. 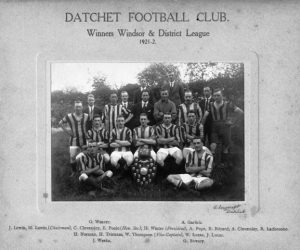 Long before the huge old Marshfield became Datchet’s recreation ground in 1951, football was played on ‘Gillett’s meadow’, marked in 1925 as ‘Football Ground‘, as well as games and sports by St Mary’s school. Gillett was the butcher at 20 High Street (until recently Mrs Partington’s Hat Hire shop), so at some times the field would have been used for grazing cattle. 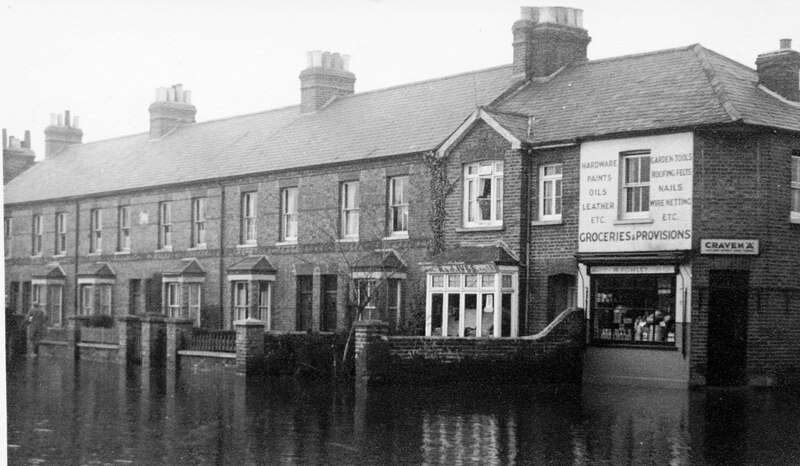 The western and northern boundaries were defined by the Linchfield Brook, which might also have caused difficulties. 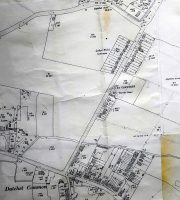 In the late 1950s the land was sold for housing and Linchfield Road was built there. 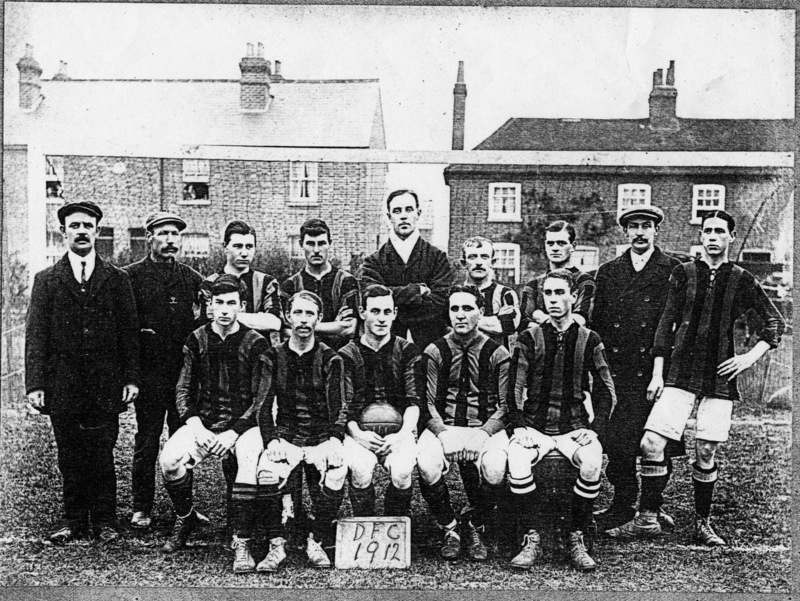 The 1912 football team was photographed against the background of the old cottages which had been built on the east side of Ditton Road by the Buccleuch and Montagu estate, probably for their estate workers. 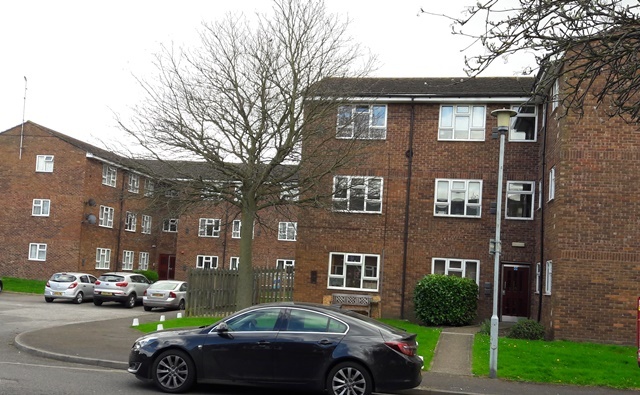 There were cottages on this site by 1868, seen on the map dated that year, and they were still in existence by 1950 when they were listed as Buccleuch and Montagu Cottages, plus Elizabeth Place – which had been named after the Dowager Duchess. Grand names were, however, no guarantee of good conditions; in 1911 Alan Kingsley, a shepherd, was living with his wife and eight children, plus his 89-year old mother-in-law, in just four rooms. 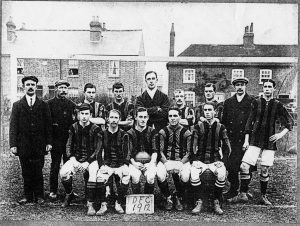 It seems that the 1912 team photo might have accidentally included the only known image of original 1860s cottages on Datchet Common, unless there are more photos yet to be found? The 1921 photo is also remarkable for having the team’s names listed below. Not surprisingly, two of them were Lewins (one being the captain), and two were Cleversleys. 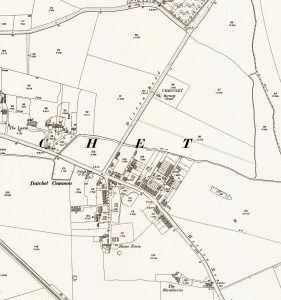 Datchet Gospel Chapel (originally Datchet Common Mission Hall), is shown for the first time on the 1925 map, on the south side of Horton Road near the bottom edge of the map detail above. It was very close to the edge of the gravel pit, seen as an irregular shape extending west to Holmlea road, and land there could have been cheap to buy. 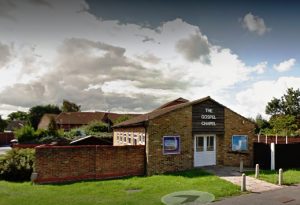 The Chapel was established by Christians meeting at the Windsor Gospel Hall, a group which no longer exists. 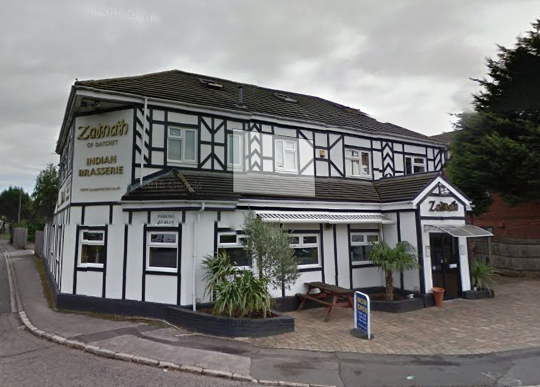 Mr Avis, also the local signwriter, is said to have built the first Mission Hall in wood, and the present one is a reconstruction of the 1980s. Mr Avis is fondly remembered by many older inhabitants for the children’s summer outings he arranged to Burnham Beeches in borrowed carts, which would have been eagerly awaited all year by the regular attendees. Proposed by-pass roads in black, right section from Major’s Farm Road to Southlea Road and left section to Windsor Road, (not ever built). Areas proposed for more housing hatched in red, N & S of railway line. 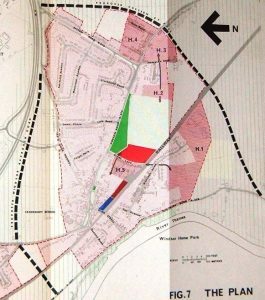 In green the Sabatini Land, to be added to recreation ground. In red, site for proposed additional junior school. In blue & dark red, retail/commercial, white is recreation ground. 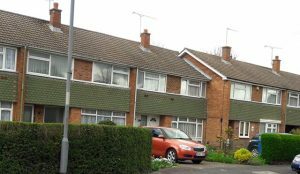 Although the development was carried took several decades, all the proposed housing was eventually built. 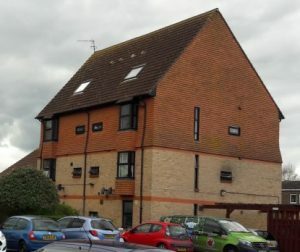 5 acres unused land and allotments; can house 250 persons; adjoins recent Local Authority development to the north (Talbot Place), and should be of a similar density. Development should be oriented to look out over Recreation Ground with footpath links provided. 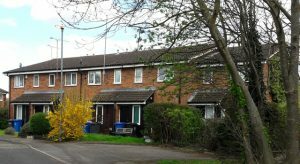 6½ acres, variety of uses but mostly unused; can house 310, density to be as Local Authority housing on other side of Holmlea Road. Access to be from Holmlea Road, not Horton Road. 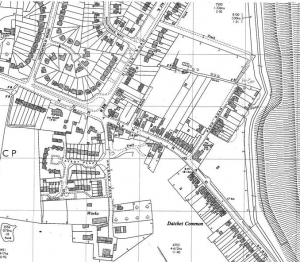 This map from about 1970 shows that much of the overcrowded and unfit old housing had been demolished ready for the new developments, and that the reservoir embankments were in place. 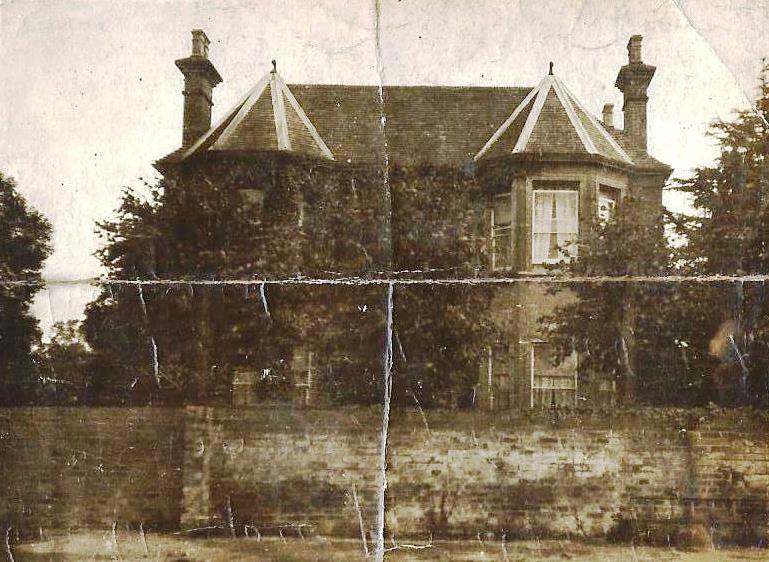 On the north side of Horton Road most of the old cottages had gone, except for Woodland Villas and the Westview pair. 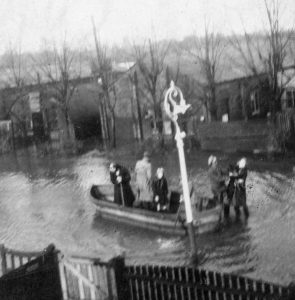 Stanley Villas were probably too close to the reservoir banks, and the Rising Sun was the last building left there. No old cottages were left in New Road, but houses in Ditton Road abutted on to its west side. All but one of the houses on the west side of Penn Road had gone, but those on the east survived until the fire at Churchill Villas some time later. The reservoir bank was built with a kink to accommodate the old cottages at the top of Penn Road which had not been demolished. By this date, the Linchfield Brook had been partly culverted and the houses of Linchfield took the place of the the old football field. With almost all the old houses close to the brook gone, the way was clear to culverting it across to the reservoir and allowing development beyond the north end of Penn Road, reaching as it does now up towards the cemetery. The photos below show typical housing in the new residential area which was created by linking New Road across to Penn Road. The top three seem to be older in style, and the lower three belong to the more recent phase beyond the brook. 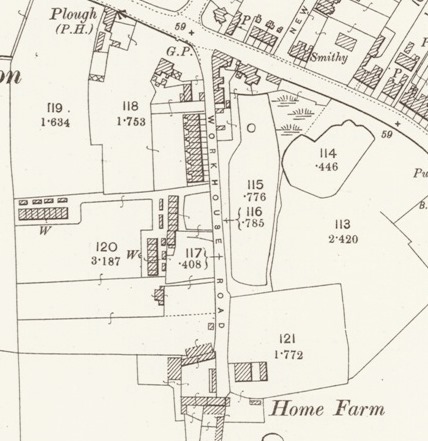 On the south side of Horton Road, the map shows that the extensive old gravel pit diggings had been used as a landfill site and a new track ran across it from behind the Mission Hall, where the site H3 became Cobb Close. 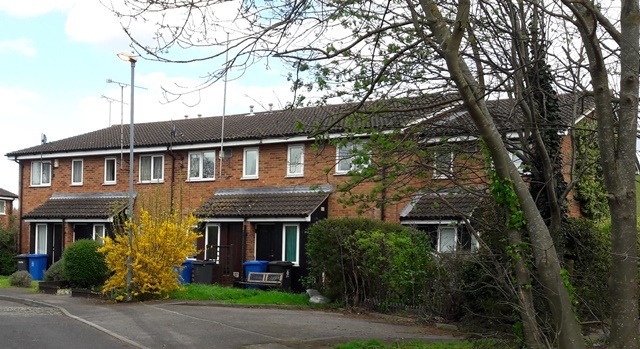 All the old Atkins and Talbots Cottages west of Holmlea Road had been replaced by local authority housing, and the plots further south were earmarked for further development as site H2, Holmlea Walk and Marshfield. These two sets of photos are of housing styles on the east and west of Holmlea Road. 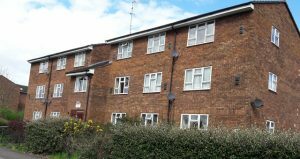 (H2 & H3), including Talbot Place, Cobb Close, Holmlea Walk and Marshfield. Those above were built from the 1960s to the 1970s, and those below were completed in about 1990. Researched and compiled by Janet Kennish July 2017. Comments, corrections, additional information, photos and memories will be very welcome: janet@datchet.com or use website contact form. Thank you!